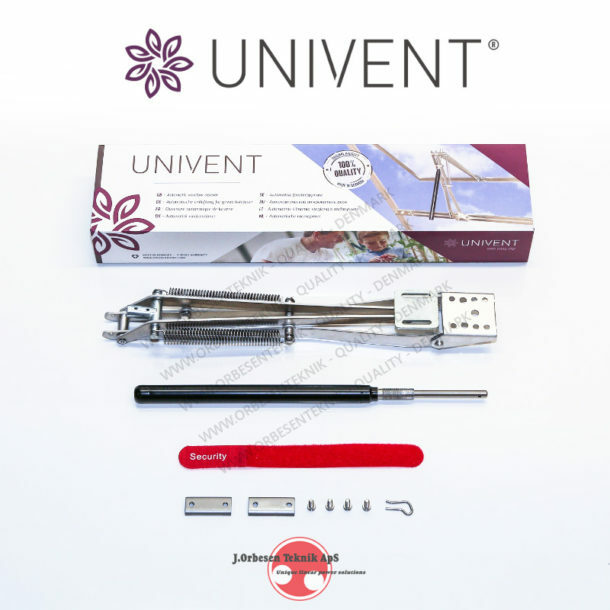 The Univent® window opener is a compact and powerful opener. It uses our widely used and well-proven standard hydraulic cylinder that throughout many years on the market has proven its high quality and durability. The Univent® window opener is a truly universal opener that has a high degree of versality. No tools or cumbersome procedures is required. You simply clip off one end of the arm and you have access through the sliding door or into your cold frame – even with the door or roof closed due to the single-acting hydraulic cylinder. Simply open and clip off the arm! Due to the design of the opener, installation of more powerful springs very easy, thus a higher closing force can be achieved. Please go to our webshop for more information. 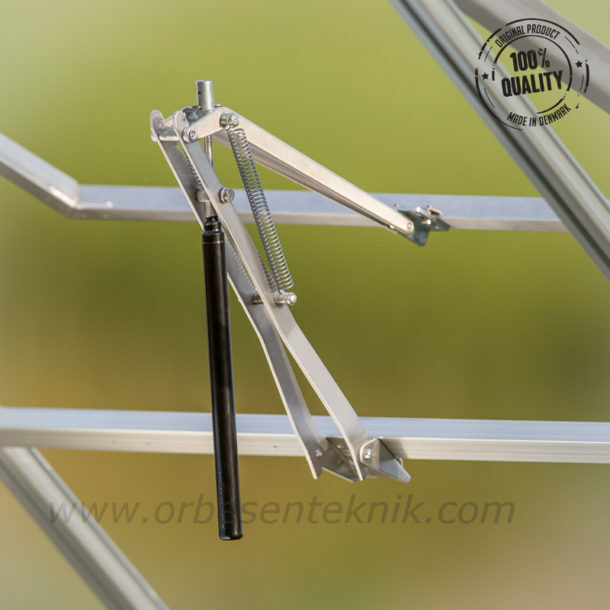 Like all the other window openers from J. Orbesen Teknik ApS, the Univent® opener is typically used for opening windows in greenhouses. The design with its double springs makes it very suitable for lightweight windows, since the limited weight of the window won’t assist the closing. Due to its compact design the Univent® opener is perfect for opening the roof in a cold frame. The opener will take up almost no space inside the cold frame leaving plenty of room for your plants. 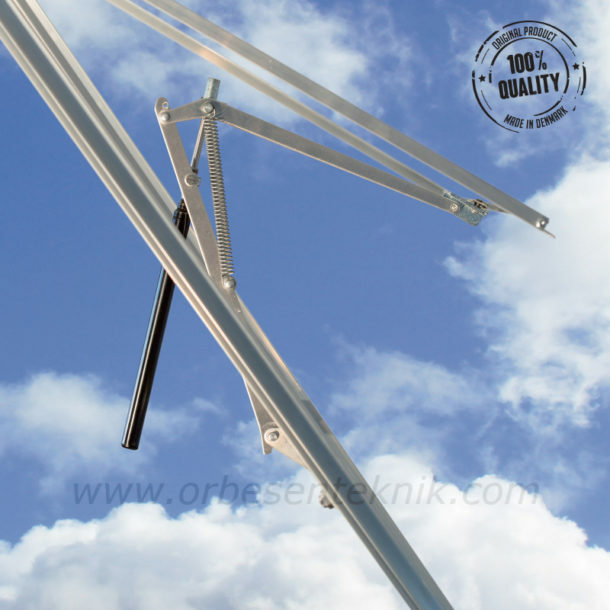 Furthermore will the Easy-Clip-System make access into the cold frame very easy and fast.